The Tulsa Driller hurler walked two batters in front of Arkansas' Luis Martinez in this August 1991 game and Martinez took advantage, according to The Tulsa World. Martinez did so by hitting his second home run of the season, putting the game out of reach, The World wrote. Martinez hit that home run in his seventh season as a pro, his first at AA. He also hit it in his final season as a pro. Martinez played those seven pro seasons. He never made the majors. Martinez' career began in 1985, signed by the Reds as a free agent out of his native Puerto Rico. Martinez started with the Reds in the rookie Gulf Coast League. He hit .232 in 21 games in 1985. He then got into 28 games in 1986 at rookie Billings, hitting .205. After spending 1987 between single-A Tampa and the GCL, Martinez started 1988 at single-A Greensboro. He then moved to the Cardinals and rookie Johnson City after being released by the Reds. In 55 games at Johnson City, Martinez hit .313. He then played 1989 at single-A Savannah and 1990 largely at single-A Springfield. He hit .267 in 105 games at Springfield, earning himself a promotion to AA Arkansas for 1991. With the Travelers, Martinez knocked in the winning run on a single in a late-August game. He drove in three more runs on two doubles in another August contest. 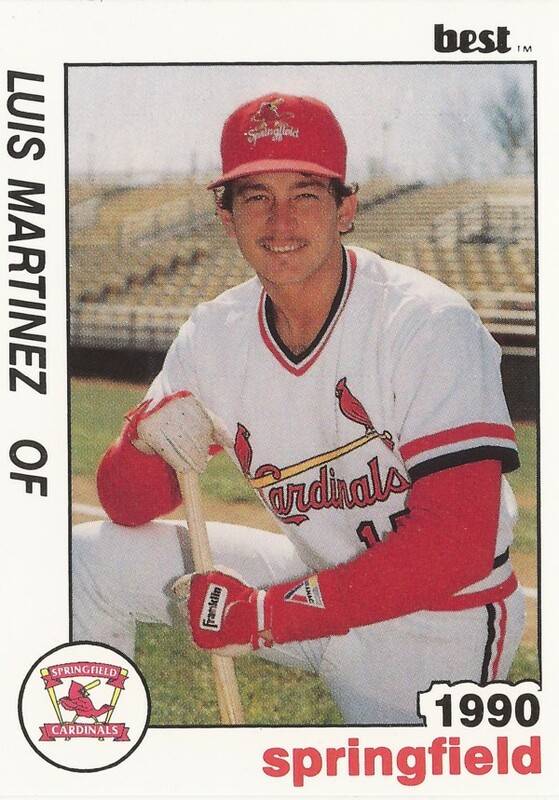 Martinez hit .271 overall in 93 games, ending his career.